Looking "where to sell my Lancia Flaminia?" Ask the Chicago Car Club! Are you wondering "where to sell my Lancia Flaminia ?" The Chicago Car Club is interested in classic cars of all makes and models, especially a Lancia Flaminia. 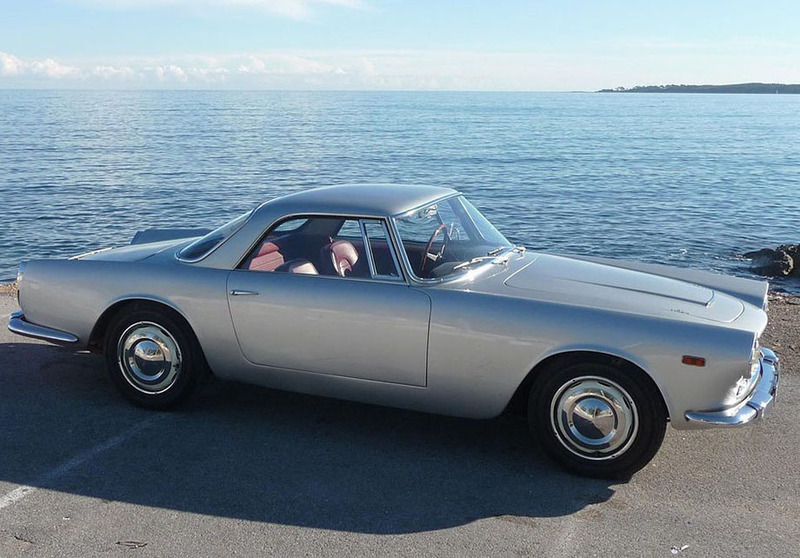 We make the process of selling your Lancia Flaminia quick and painless. In just a matter of hours we will have your classic valued and, if you do so choose, turned into money in your pocket. All it takes is a phone call or electronic inquiry to get the ball rolling. The Flaminia was a luxury car by Italian car manufacturer Lancia, made between 1957 and 1970. It was their flagship model and had body styles made by several different coach makers. 12,633 Flaminia cars sold over 13 years in 9 named series models. The name Flaminia comes from the name of one of the great roads of the Roman empire. Cars under the Flaminia name ranged from convertibles, to 2+2, coupes, saloon (sedan) to presidential limousines. Interestingly, in an era where smaller cars were becoming more and more popular, it was the largest of the models that sold the most units. They were known as executive cars and were known as luxury vehicles. The Flaminia chassis was a development of their Aurelia car with significant upgrades. It used a double wishbones, coil springs, telescopic shock absorbers, and an anti-roll bar. It was equipped with a choice of drum or disc brakes. The first prototypes that were debuted at the Turin Motor Show had bodies by coachbuilder Pininfarina and featured suicide doors. Engines ranged from 2.5 liters to 2.8 liters and had horsepower ranging from 102 to a hefty 150 hp, on the sport model, built by Zagato. The Zagato version had an aerodynamic sleek shape and an all aluminum body. Perhaps the most famous of the Flaminia were 4 convertible presidential limousines, known as the Flaminia 335 “Presidenziale.” They were ordered in 1960 by the President of Italy for the visit of Queen Elizabeth. All 4 of these cars still exist and are in an Italian museum. They are used for events such as state funerals and inaugurations.